Based on its excellent high yields in the 2015 harvest, the hard feed wheat Evolution continues to be a firm favourite with growers and this is reflected by a continued high market share. However, to get the best out of the variety, it is crucial that it is managed correctly in the early spring, says Limagrain’s Ron Granger. 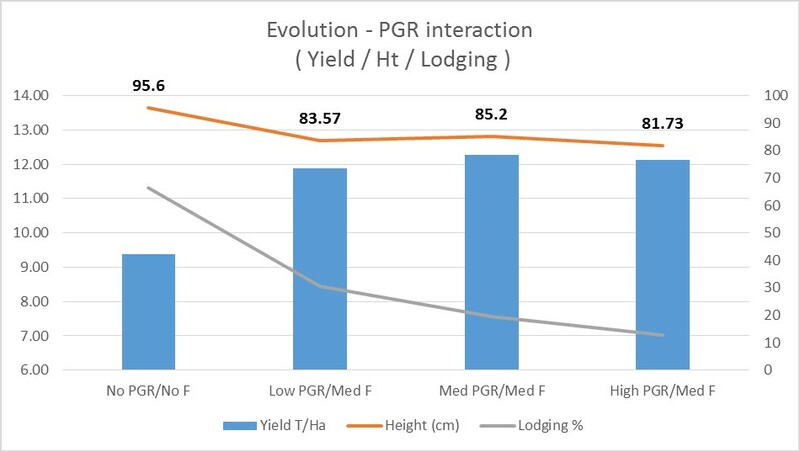 Evolution responds well to differing PGR applications with good height reduction and reduced lodging risk with no significant yield loss he says. Limagrain has done collaborate work with BASF looking at seed rates, and PGR’s. “We would recommend in most situations that a split PGR treatment will give best results; applying your first PGR at GS30, glume primordia, and following this with a second dose of PGR at GS31-32, says Louis Wells, agronomy manager with BASF. A good fit for early PGR applications is prohexadione-calcium, an active ingredient in the products Canopy and Medax Max. It is a strong, but soft PGR which as well as shortening the crop, also helps with rooting, and stem stiffness he says. Activated in the spray tank prohexadione is able to work as soon as it is sprayed at temperatures as low as 4 degrees C. For additional stem stiffness in wheat BASF recommend mixing in CCC particularly at the later GS31-32 timing once temperatures have warmed. “In high risk situations, the addition of Terpal at GS39 to shorten and stiffen the upper internodes is recommended”. With regards to feeding Evolution, there are a range of opinions on how many nitrogen splits are best, and whether to go on early or save some for a late application. “You don’t want to let Evolution go hungry in early spring. Little and often does seem to work, if you can manage the fieldwork, and this is a variety with a high yield potential, so on good sites you can raise the rate and push it for yield,” says Mr Granger. “It’s late-maturing, but I’m not a big believer in saving N until late in the season. It might be too dry and may only come available when the crop’s actually ready to senesce – the impact is that you could then end up with a lower specific weight! “The variety is bred to maintain its green canopy, so as long as N isn’t limiting throughout the spring, it’ll build this canopy, that’ll then be used to build yield,” explains Ron Granger. Growers should also monitor trace element levels and ensure none are limiting, topping up with foliar applications as required, he advises. Limagrain has found that the use of foliar applications of a mixture of trace elements have proved to be very beneficial, especially in situations of induced stress in a growing crop. 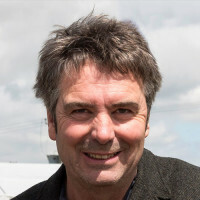 With 25 years of experience in wheat breeding, Ron is now responsible for the organisation and management of all of Limagrain’s agronomy trials, engaging with growers, agronomists and other bodies involved in the supply chain from research through to end-use. Ron also provides a vital link in the work between breeders, official trials, and third party trials.